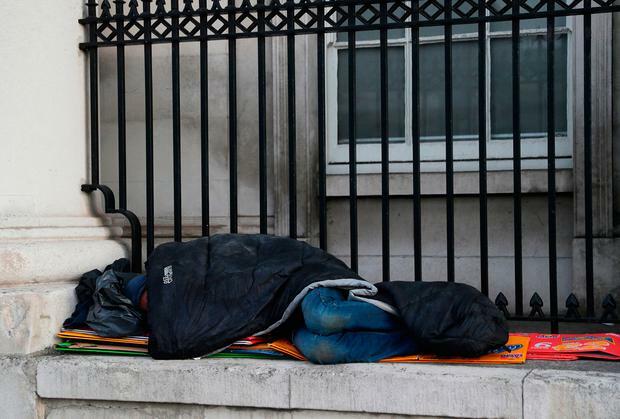 THE global media will shine a spotlight on Ireland’s housing and homelessness problem when the Pope (below) visits the Capuchin Day Centre in August. The question for Government is how best to put on a brave face and demonstrate to the world that it has a grip on the problem. It could point to the positives: construction of new homes is increasing, albeit from a low base. All the indicators suggest things are going in the right direction – planning permissions and commencement notices are rising. The State is also going to provide finance for developers; vacant homes are coming back into use, dedicated student accommodation is being built and the problem of ghost estates is nearing resolution. In addition, first-time buyers are given cheap mortgage rates and tax rebates to help them fund a home. The numbers exiting long-term homelessness is rising. Rents are stabilising. All good stuff. But the negatives somewhat outweigh those positives. The CSO tells us the number of new homes built has been widely overstated. Even though the figures are increasing, nowhere near enough are being brought to market. Of the 14,500 built last year, around 4,300 were one-off, most of which won’t be sold. Delivery of social housing is painfully slow some local authorities have not built a single unit over recent years. And not all planning permissions result in new homes being built. There are thousands of unused permissions in the system. On finance, the 750m housing fund only comes into effect at the end of 2018, and isn’t open to those building fewer than 10 units. It’s these builders who will solve this crisis. And while the CSO analysis of house completions threw up the surprising (and welcome) fact that more than 14,000 vacant units have been brought back into use since 2011, tens of thousands of others are lying idle. Provision of student accommodation is welcomed, but it’s expensive to rent. Credit where it’s due, ghost estates are being resolved, but the State is funding cash incentives for first-time buyers to buy properties which continually get more expensive. There’s a fair chance the “help” is helping to fuel prices. But without a doubt the darkest stain on the Government’s record is the fact that almost 10,000 people are homeless. We have the nonsensical situation where tourists stay in people’s homes and the homeless live in hotels. And they are trying to access a rental market where prices are above boom-time levels. There’s no upside to this. The housing problem was identified back in 2014 when the then government launched its Construction 2020 plan. The biggest challenge is increasing supply, and the number of homes being built is rising. But the figures highlighted today suggest that despite numbers substantially increasing in some areas, prices are not falling. Investors are also benefiting from lower prices by buying off-plans or in bulk, and the fact these will become rental units will be of little comfort to those seeking a first home. There are other issues too. Does the construction industry have capacity to ramp-up output to the required level? Will the State release thousands of hectares of land it controls for housing? Will it tackle the growth and dominance of the big institutional landlords, which are solely concerned with profit and maximising returns? There are few positives here. People in full-time jobs in their late-20s are living with their parents. The homeless figures speak for themselves, as do rising prices and rents. This housing crisis is nowhere near being resolved.